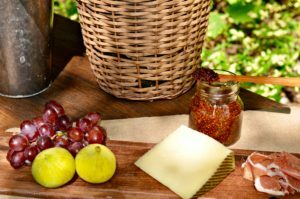 Inspired by my travels in Napa Valley and falling in love with the sights, taste and aromas of the wine country is my super easy fig jam. 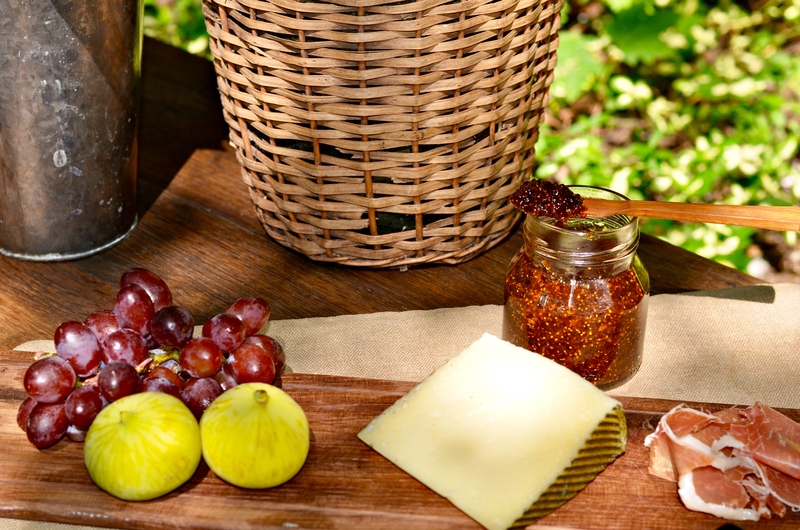 The jam is the perfect when served with bread, cheese and wine. This recipe helps to transport me back everytime to this beautiful destination! From by the bay wishing you fond wine country food memories! In a medium sauce pan heat olive oil. Add onions and sauté until translucent. Add all remaining ingredients except figs ( sugar, water, vinegar, salt, rosemary, lemon juice and zest). Bring to a boil and then lower heat to a simmer. Simmer until it is the consistency of a syrup and add figs. Continue to simmer until figs are soft. Cool and place in a covered glass container. Store in the refrigerator until ready to use. This will keep about 5 days in the refrigerator. This entry was posted in breakfast, fun Foods and tagged brown sugar recipes, easy food, easy recipes, fall recipes, fig recipes, jam recipes, rosemary recipes on September 20, 2018 by entertainingbythebay.